Kukke Subrahmanya Temple is located at a distance of 105 Km from Mangalore and 205 Km from Bangalore in South Karnataka, India. 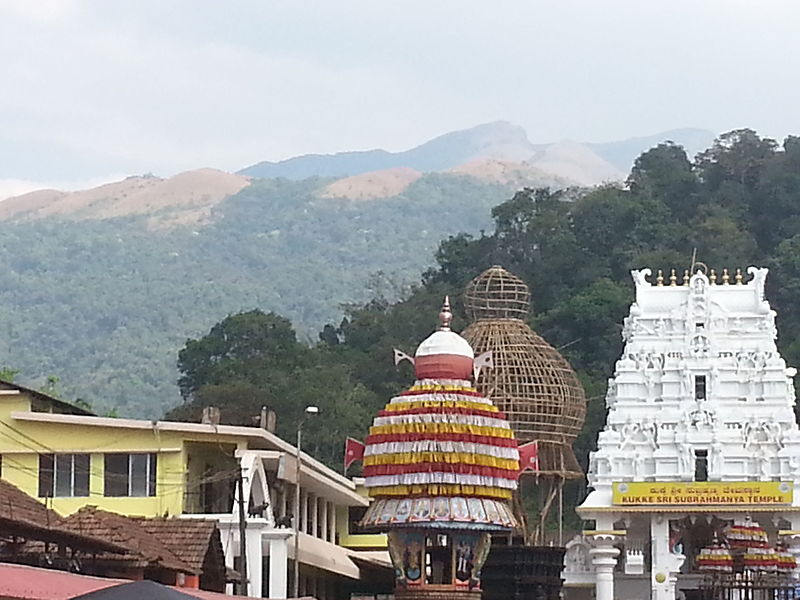 Kukke Temple has been described in Sahayadri Khanda of Skanda Purana. Adi Shankaracharya has visited and described the Kshetram as 'Bhaje Kukke Lingam' in his Subrahmanya Bhujangaprayata Strotram. 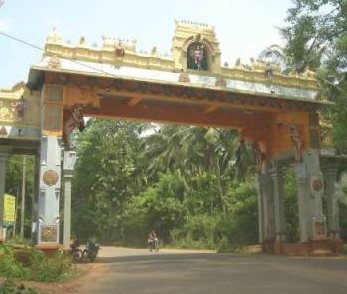 Kukke is known as Parasuram Kshetra. Lord Parasurama reclaimed Land from the Arabian Sea and was instrumental in enshrining Seven Mukthi Kshetra in Karnataka Namely Udipi, Kollur, Kukke Subrahmanya, Kumbasi, Koteswara, Shanakaranarayana and Gokarna. Madhwacharya has also worshipped in this Temple. Subrahmanya won the war of Celestial god Indra over the demons Tarakasura and Soorapadma. Lord Indra expressed his gratitude for Lord Skanda's help and married his daughter Devasena to Lord Skanda on Margashirsha Sukla Shashthi also known as Subrahmanya Shashti. 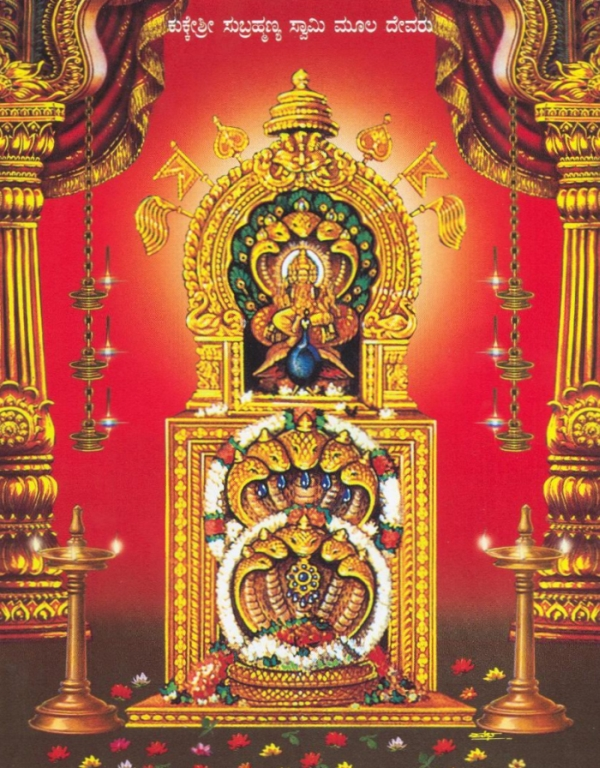 Till date this day is celebrated as the Divine Marriage ceremony between Lord Skanda and Devasena in Kukke. Hence Lord Subrahmanya is also known as Devasenathipathi. Lord Subrahmanya after killing the demons Tarakasura and Soorapadma washed his spear weapon in the river Kumara Dhara here which comes from Kumara Parvatha mountain behind the Temple. 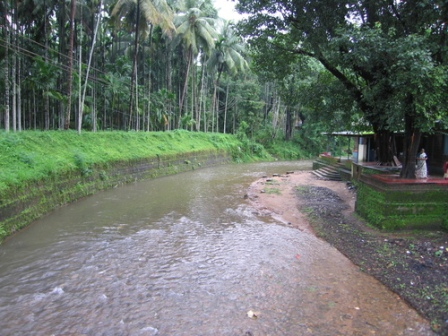 The Kumara Dhara joins Netravathi river before finally merging with the Arabian Sea in Mangalore. 'Kukshi' in Sanskrit means Cave and Serpent Vasuki did penance in a cave. Hence the Temple came to be known as 'Kukke Subrahmanya'. The Nagas or snakes prayed to Lord Shiva to protect them from Garuda Bird. Lord Shiva directed them to do penance towards Lord Skanda. Vasuki worshipped the lingam in a basket and they are known as 'kukkelingas'. 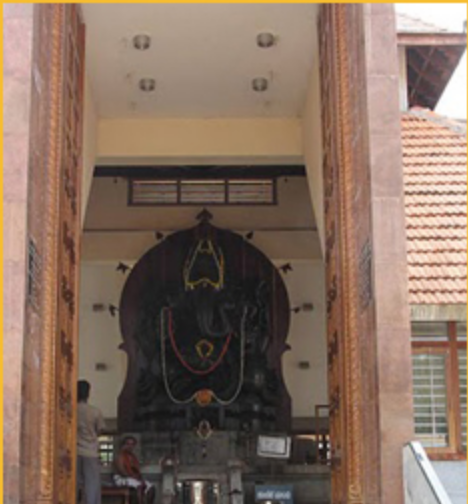 Vasuki did severe penance towards Lord Skanda in a cave called Biladwara near the Main Temple in Kukke. Lord Skanda was pleased with Vasuki's penance and protected the Asta Naga Devatha Murthy Vasuki from Garuda Bird. Hence Lord Muruga in main temple is found under the five hooded serpent Vasuki in the Temple. Adi Subrahmanya Temple located in the North East Corner of the Main Temple. It is compulsory to visit the Adi Subrahmanya Temple while visiting Kukke Main Temple. Here Lord Subrahmanya is worshipped in an ant hill which has medicinal properties. The 'Mruthika Prasada' or Mud of the Ant Hill is kept outside the Temple for all visitors to take as prasad. 1) Sarpa Samaskara Pooja: Killing a snake causes Naga Dosham to the person and also to the family/generation of the person. 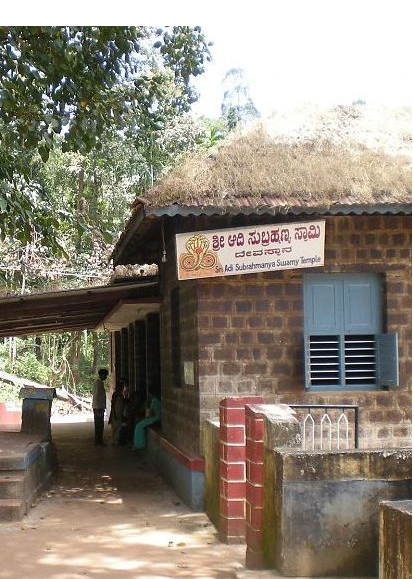 Sarpa Samaskara pooja is done to get rid of Naga Dosha in Kukke over a period of Two Days. Nagaprathishta is also included in Sarpa Samaskara Pooja. The seva fees is Rs 3000. 2) Aslesha Bali:It gives good results when performed in Aslesha/Ayilyam Star days. Homa sankalpa is included. It is done in two shifts namely 7:00 am and 9:00 am. The Seva Fee for the same is Rs 400 and is available on all days except Ekadasi and fast days. 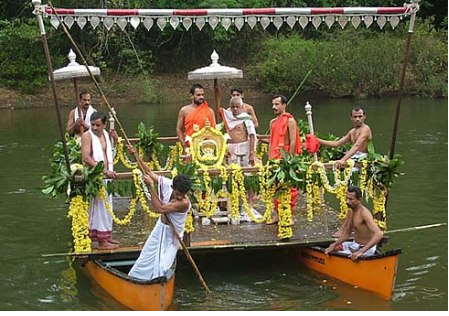 3) Nagaprathishta:The Naga Prathishta includes participation in Naga Prathishta homa. There is also a Naga Prathishta Mandapa in the Temple. The Seva Fee for the same is Rs 400 and is available on all days except Ekadasi and fast days. 4) Prarthana: For Employment related issues, Santana prapthi/begetting Children, relief from chronic skin diseases, marriage related issues etc. Prathana is done daily at Sri Subrahmanya Sannidhi 12:00 pm and 7:30 pm respectively. The Seva Fee for the same is Rs 100.